This is a very simple little Microsoft Excel Sheet that can calculate a student's GPA. Start by entering total credit hours attempted and points earned to date, or leave blank. 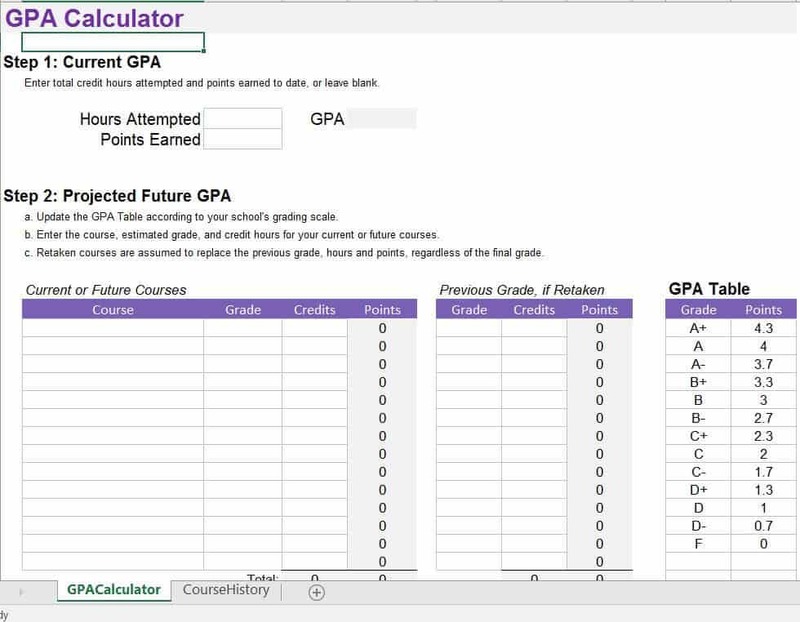 Then, project a student's future GPA by updating the GPA table according to the grading scale that you use. Once you've entered the grading scale your homeschool or co-op uses, start entering in the grade and 'credit hours' for this year.